Today, I want to tell you about our Doodle Diaries. The holidays are upon us and, with them, the chaos. The energy is high, you guys. The kids, who have a surplus of energy on a normal day, are bouncing off the walls. And I want to embrace it, I do. They are only little for such a short period of time. And so I string twinkle lights, dance in the kitchen to holiday music, make peppermint-scented glittery play dough, and pop in some Rankin and Bass each night. And it is magical. But, let’s be honest here: Sometimes I just want them to calm down, even just a smidgen. Just so I can think. Because it can be really hard to think amid all of this magical holiday energy. And, sometimes, I need to get stuff done. Like laundry, and meals, and phone calls. Plus, the kids need to go to bed. They must sleep to maintain this level of magic. So, how do I calm them down when the energy is high? Well, several weeks ago we added a simple activity to our routine and this simple change has been nothing short of amazing. I hope it works in your home, too! Initially, I tried reading aloud to my children when they were off the wall, but they just wouldn’t listen. So, I tried number two. 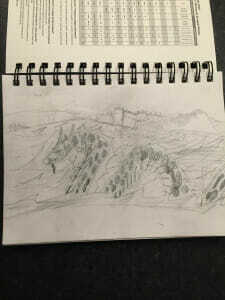 While they were carrying on like wild hooligans, I simply took out a piece of paper and started to doodle. That’s it. And, do you know what? They joined me. Every single time. This doodle-during-chaos strategy worked so well that I purchased four small, inexpensive sketchbooks- one for each of us. We dubbed these books our “Doodle Diaries” and we have been using them almost daily for the past six weeks. Lately, because the holiday energy is at an all-time high, I have upped our doodling time. Our Doodle Diaries have yet to let me down. My children calm down every single time they use them! 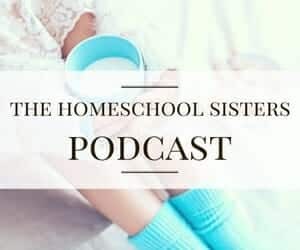 First, do you love fantastic homeschool resources? We do, too! 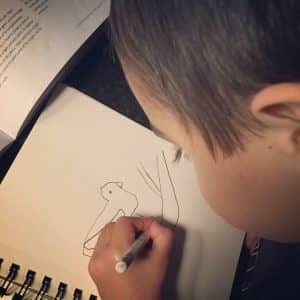 I have been using these Doodle Diaries almost daily for the past couple of months and I have been utterly amazed by their ability to calm my children down almost instantly. And I’ll be honest here: it calms me down too! 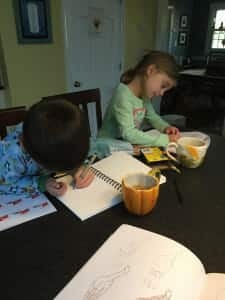 When it is time to use our doodle diaries, I simply spread them out on our kitchen island. I then sprinkle in some inspiration. That inspiration could be a drawing book, a favorite story, a favorite toy, or even a small mannequin, like the little fella you see pictured below. Then, I turn on some music, announce that it is “doodle time”, and we get to work. Sometimes we draw for ten minutes while other times we draw for an hour or longer. I have been consistently amazed by how quickly this simple act changes the mood of our family. Within a few minutes, my children are calm, quiet, and focused. 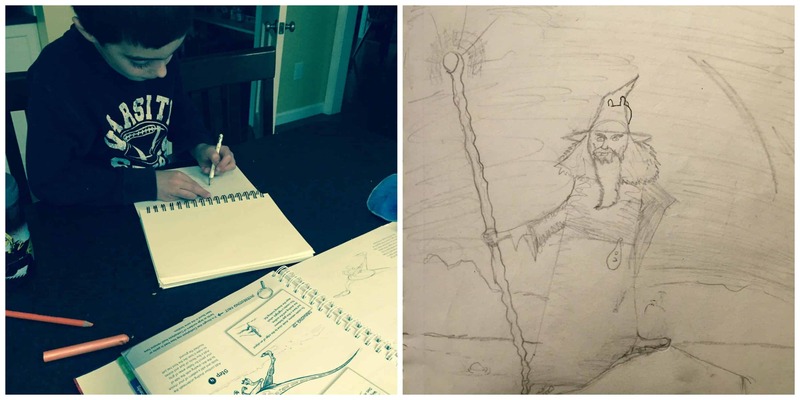 I always work alongside my children, and I believe that to be part of the draw. It’s quality, creative time together. There are no to-dos or must-dos during this time. Our only goal is to create together. When our doodle time is over we are calm. It is as if, together, we have flipped a switch. 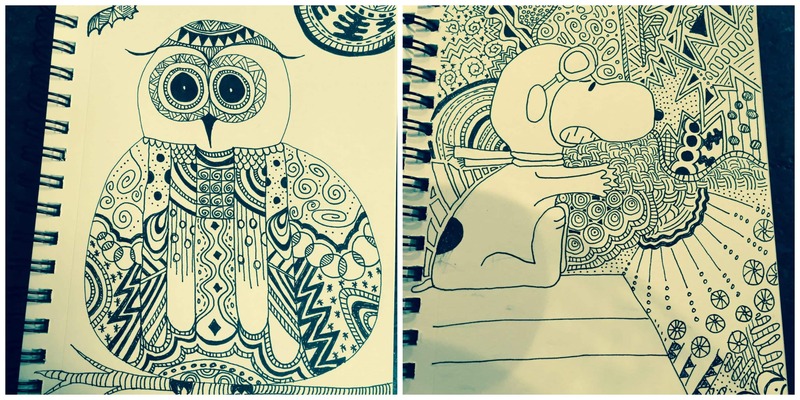 Doodle time provides us with a moment of mindfulness in the midst of a busy day. When it is over, we start fresh with renewed energy and patience. Lately, because it has started to feel like winter around here, we have paired our doodle time with a cup of tea. This new addition has made our time together even more special. I love that we are making space in our day for the arts. I love that homeschooling allows us the freedom to create together. And don’t be surprised if your art inspires more creativity. The drawing below served as inspiration for my oldest’s NaNoWiMo this month! The children have created some incredible pieces of art. I love that their daily doodles are contained in one diary. We have only been using these diaries for the past couple of months but already it is fun to look back at all of the entries! Here are a few gems from the 4-year-old. I love the tunnel!! 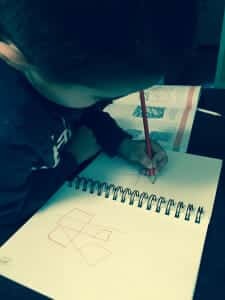 My 6-year-old LOVES to zentangle! … and a 37-year-old’s collage! 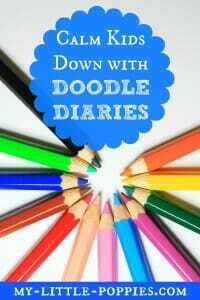 Let me tell you, folks: Doodle Diaries are the perfect way to combat all of the holiday chaos! I don’t know what is going on here, folks, but I like it! …or you can check out some of our favorite resources listed below. 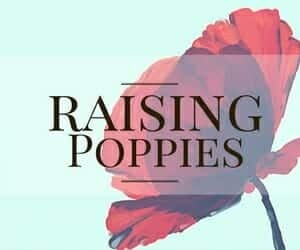 It wouldn’t be a My Little Poppies post without book recommendations. 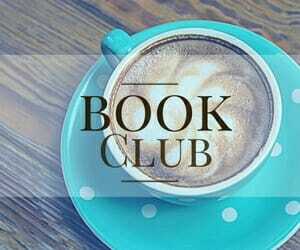 Today I am sharing our favorite books for Doodle Diary inspiration. I have started off by listing the easiest resources first. 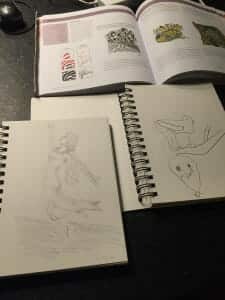 These will be perfect for those who do not feel that they do not have an artistic bone in their bodies (even though I think everyone has the capacity for art- we just get rusty as we age!). Next, I list some of our favorite how-to type drawing books. These books offer a fun challenge and tons of inspiration. Finally, I’ve listed our favorite art books with a more academic spin. 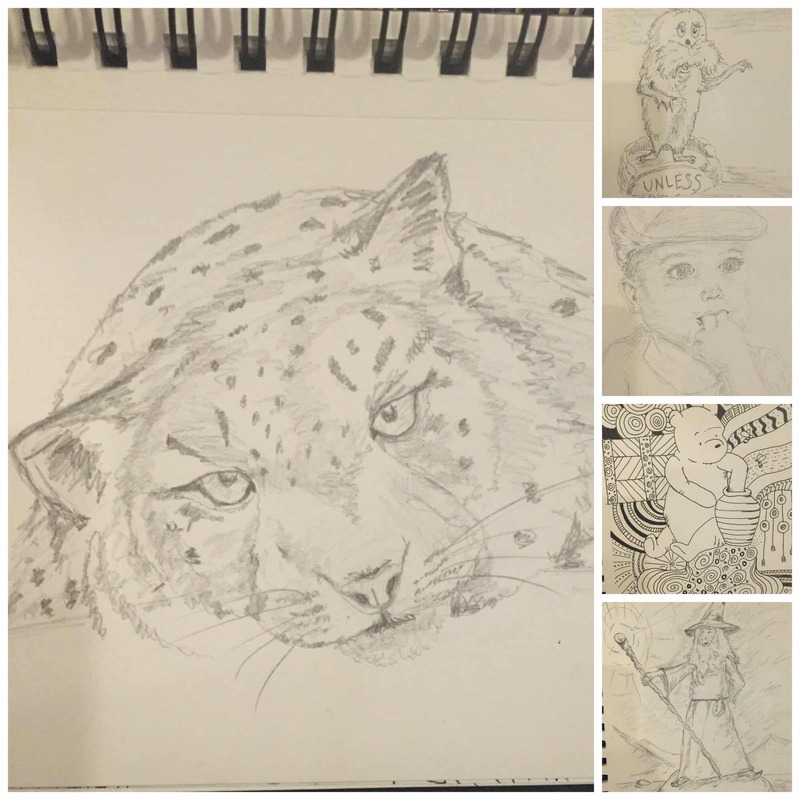 These are for the homeschoolers who would like to create and cover another subject. Throughout, I’ve sprinkled in some of our favorite tools. 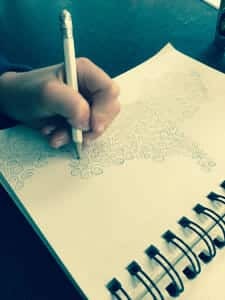 When you are finished reading, I would love for you to share your favorite resources for doodling. We are always on the hunt for new materials! Our family has fallen in love with coloring books for adults. There are tons of them on the market nowadays. You need only search Amazon or pop into your local craft store to find them! We love the one you see here and any and all mandala coloring books! All you need is this book, some artist tiles, and some fun pens. 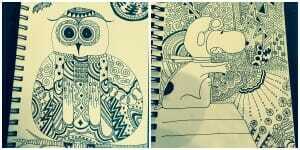 Zentangle is a form of art that uses repetitive patterns and designs. 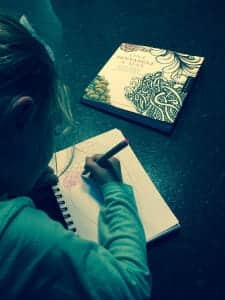 One does not need any artistic talent to zentangle so it is perfect for those new to doodling. The amazing part of zentangling is its ability to calm. We always keep some zentangle tiles in my son’s worry basket because it is a proven stress-reducer. 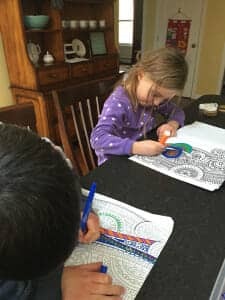 Young children can zentangle. 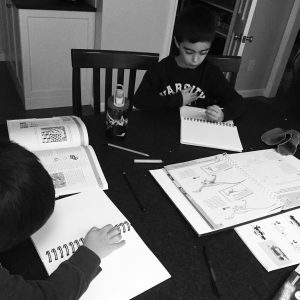 It’s a great introduction to art because in zentangle there are NO mistakes. 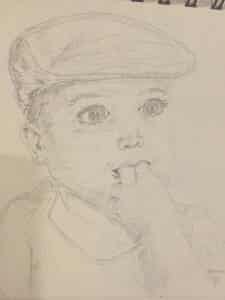 We discovered Ed Emberley when my oldest was just a toddler. 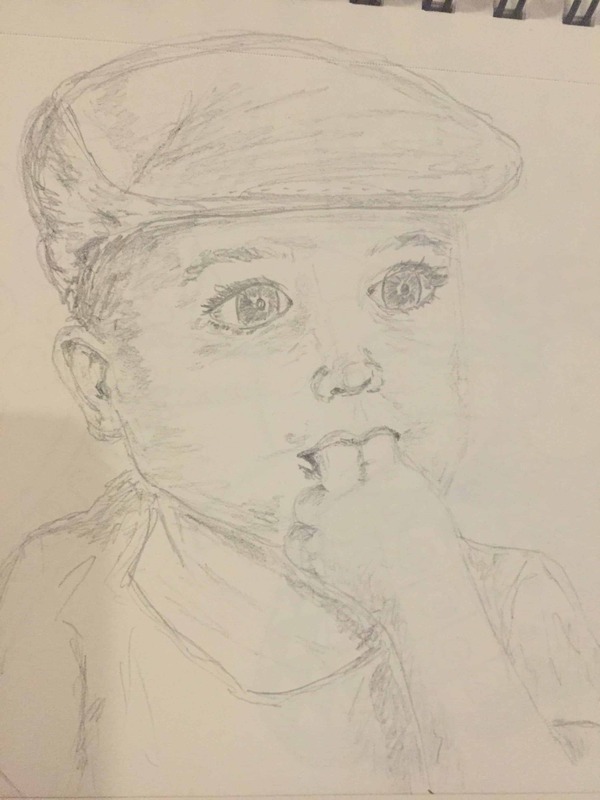 As soon as he could hold a crayon, he loved to doodle. Ed Emberley has an entire collection of books that are perfect for young artists. Our collection is well loved! Here is my 4-year-old drawing trains and tunnels. Ed Emberley’s books are easy for young kids to follow, as they are entirely visual! Perfect for pre-readers! We discovered this gem at our transfer station! It’s one of our Instant Dump Classics! 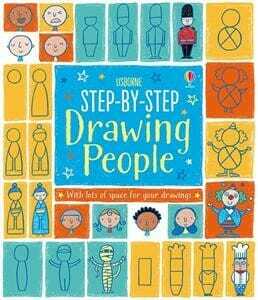 My children have spent hours drawing with this book! This is probably my oldest’s favorite art book at the moment. 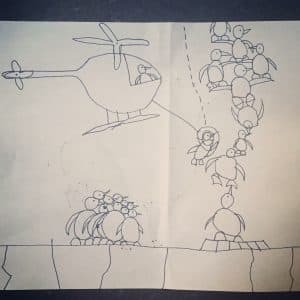 My children love to draw animals. 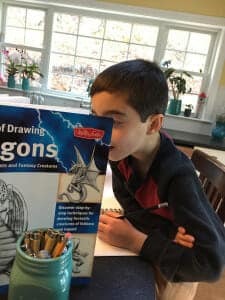 They love to use the book pictured here as well as How to Draw Wild Animals in Simple Steps by Johnathan Newey. 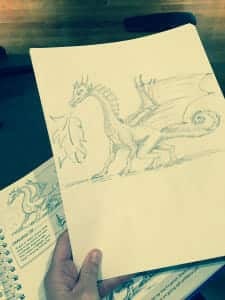 My oldest has been reading a ton of fantasy lately and, as a result, we have amassed several how to draw dragon books including this one. 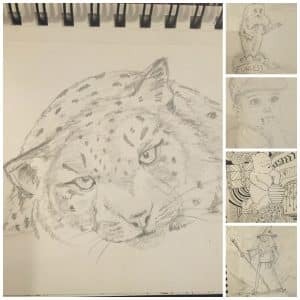 If you are up for a challenge, try to draw some faces! 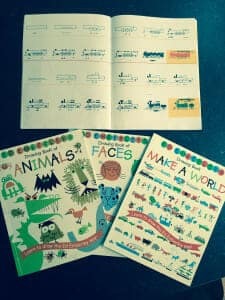 We love the book pictured here, written by Susie Hodge, and we also like How to Draw Classic Heads and Faces by Walter Foster. It can be difficult to homeschool during the holiday chaos. Maybe adding a Doodle Diary to your routine seems like just one more thing. If that is the case, why not try to merge art and academics? It’s easy to do if you adjust your thinking a bit, and there are heaps of great resources out there to help you do so. These are a few of our favorite artsy academic resources. This is great for hands-on art history. 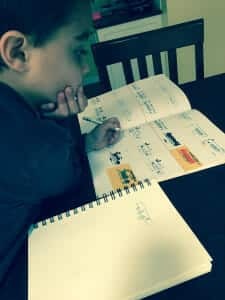 Do you have a kid who loves to doodle but hates to write? This has helped us! Art meets art history and American history! 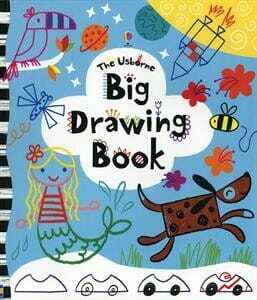 And Let’s Not Forget Usborne’s Amazing Art Books! 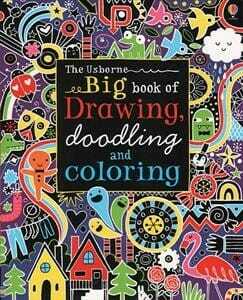 For those who are unaware, Usborne no longer sells on Amazon. This is the reason why I decided to become an Usborne consultant earlier this year. 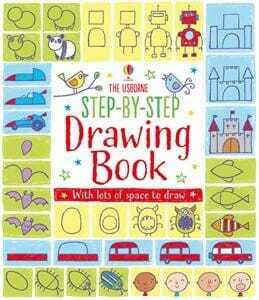 If you are looking to add some Usborne to your bookshelves, I’m happy to help. 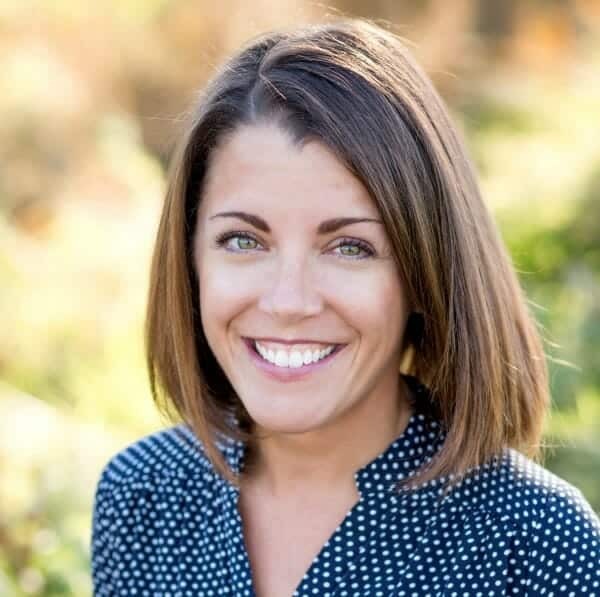 Whether you want to order online or host a FB party and earn free books, I’m your girl. Send me a message, either here at MLP or via my Usborne site. 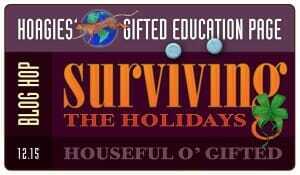 This post has been a part of the Hoagies’ Gifted Education Page December 2015 Blog Hop: Surviving the Holidays Houseful O’ Gifted. Please click the image below to keep on hoppin’! 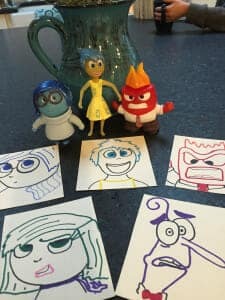 Tell me: Do you doodle with your children? What are your favorite resources? Share here! Cait, This is an amazing resource. What an incredible idea. And you offer great tools for people who are scared away by the idea of using “art” by pointing out that they don’t have to be accomplished artists. It’s about art as an outlet and self-expression. Will definitely share this. Thank you so much, Gail! I knew that it would calm them down a little bit, but I was seriously floored by how well this has worked over here. Caitie, This is another one of your extremely helpful, very thorough posts. You are so generous and creative with your ideas! 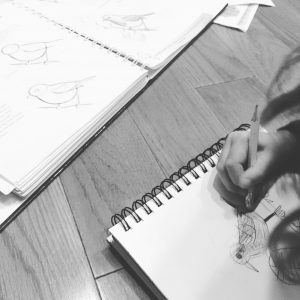 I love this idea, one of my kids is at her calmest when she is drawing also. With five kids it gets hectic in my house. I will have to try this. Wow… your ideas and suggestions are amazing! 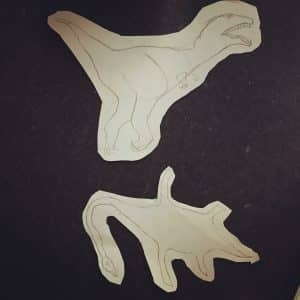 I had been looking for a resource like this for my two boys (who want to draw, and could use some fine motor practice…!). I am so excited. 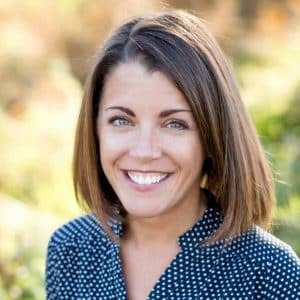 I love your photos, tips and book suggestions. Thank you!! Thank you, Emily! I hope it works really well for you! 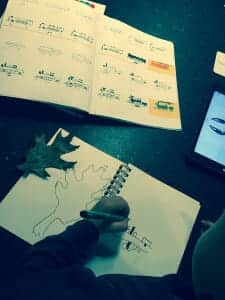 We love to doodle and draw together and use several of these great resources. 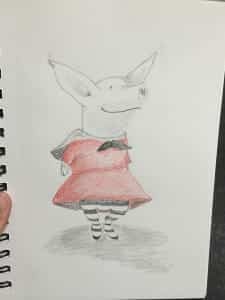 We also frequent Art for Kids Hub – artforkidshub.com – for drawing ideas. Love that site! 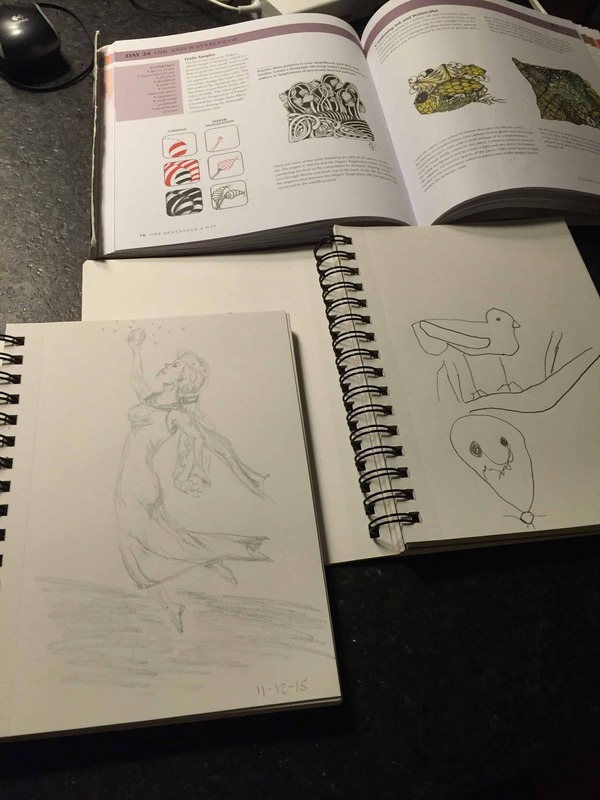 What an excellent idea…..doodle diaries! On a related note, I recently saw a whole table full of adult women calm down for a long time by using coloring books. If we keep our hands busy creating, and our minds calm down. I’ve read your post several times, and plan to add items to the boys’ Christmas lists. 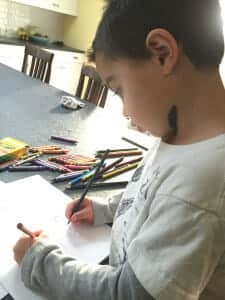 One of my boys uses art supplies as his primary way to calm down activity. Keeping it in a sketchbook rather than masterpieces all over the kitchen floor is a fantastic idea. 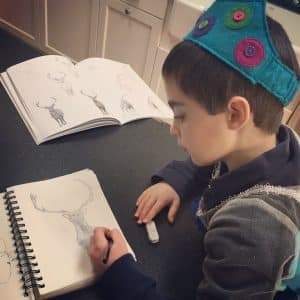 5 kids, we just started zen doodling and art therapy coloring books with Christmas. Amazing. Isn’t it incredible?? Such an easy addition to the routine with a wonderful pay-off! 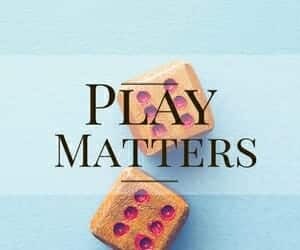 What a wonderful list of resources! I’m getting ready to stock up on a couple of your ideas to get us started. I didn’t see a link to the type of journal you use. 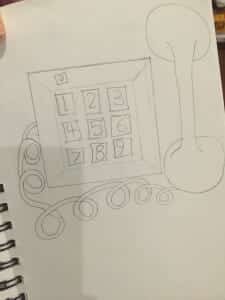 I’m assuming a sketchbook would work fine? If you aren’t using paint, perhaps you don’t need a heavier, more expensive paper? Thanks!